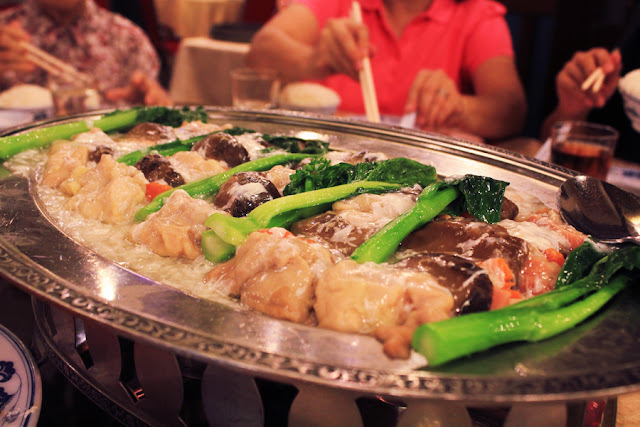 Red Star Restaurant is conveniently located at Chin Swee Road, which is just a short 5 minutes walk away from Chinatown station. Usually flooded with diners, especially the elderly who came to gather and reminisce the nostalgic ambience. I love how they are still using the classic quaint pushcarts, which contains trays and baskets filled with freshly made dim-sum. More often than not, Red Star Restaurant has always been the preferred choice when it comes to choosing a dinner place for dear grandma's birthday. Besides serving your usual dim-sum fix in the morning, this Mandarin restaurant which is opened by four well-known chefs in the 1970s, whipped out pretty decent Cantonese classics as well. 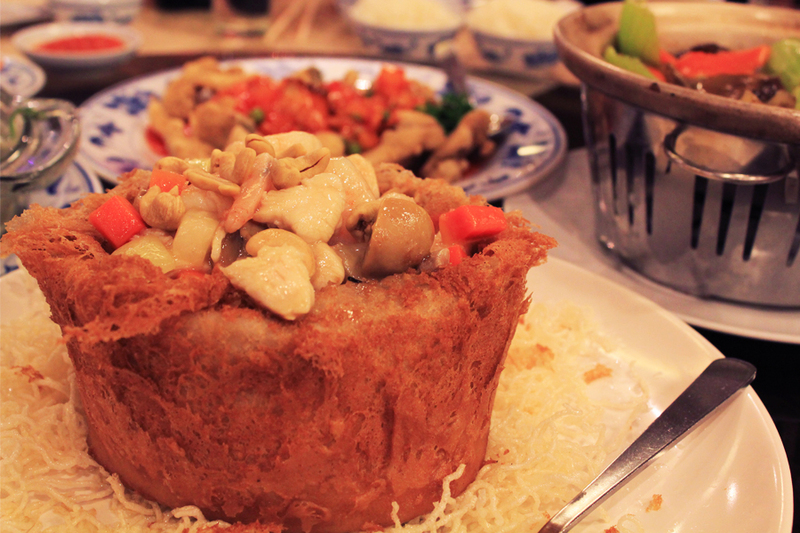 For example, their signature Yam Basket topped with assorted ingredients is a favourite of many. Its crispy exterior covered the soft, piping hot yam cake, matched with a couple of savoury seafood and vegetables, this delectable dish is one of the must-tries. Chicken with Assorted Vegetables was a tad bland for my liking. Nevertheless, I like the unique idea of combining ham with chicken chunks, topped with creamy egg sauce. 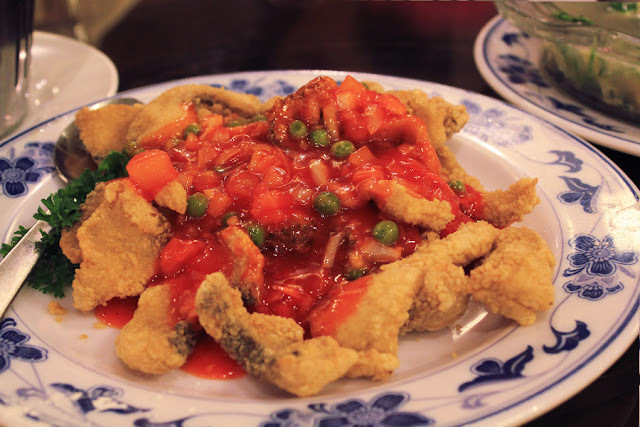 Fried Fish Slices in Sweet and Sour Sauce was average. 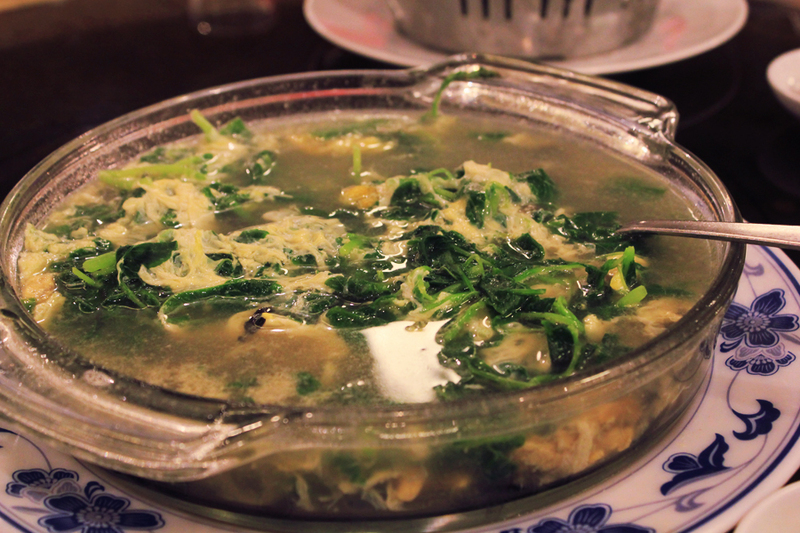 Nothing to rave about, as I usually do not eat fried fish slices, but when I do, I love it when it's soaked in broth. We also had their spinach leaves, which turns out to be too clumpy. I just wished they'd put more eggs in it. 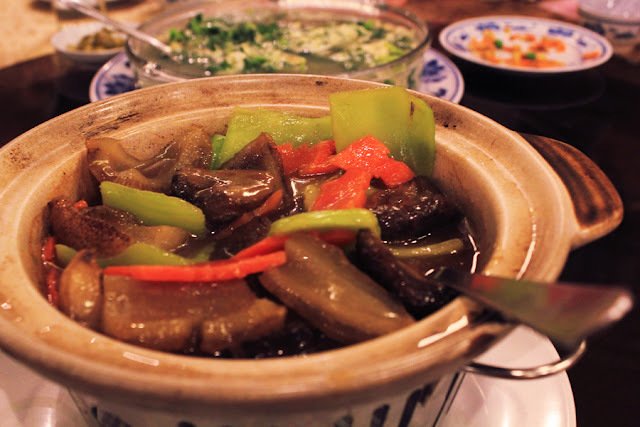 一品锅, also known as Royal Pot consists of an array of vegetables and seafood, including a generous portion of the luxurious sea cucumber. Generally, Red Star Restaurant is an ideal place to head to if you want the nostalgia it brings, which is great for family gatherings, especially when there are elderly. 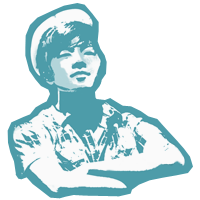 Other than that, food and service were pretty average, as there are definitely better ones out there.